Perhaps one night, in the middle of a freezing cold snap, you wake up shivering, wondering why your heat won’t kick on. Nothing is worse than a failed furnace in the dead of winter, particularly if it happens at a late hour. Here at Home Service Plus, we are experts in furnace services in Winnipeg. We have helped countless members of our local community when their furnace fails. While we are always on call if you need us, it is far better to avoid a catastrophic failure of your heating system in the middle of the night if you can. In some cases, simple furnace maintenance will ensure that your heating never fails. However, there comes a day when it is time to replace your furnace before you wind up shivering in the cold. 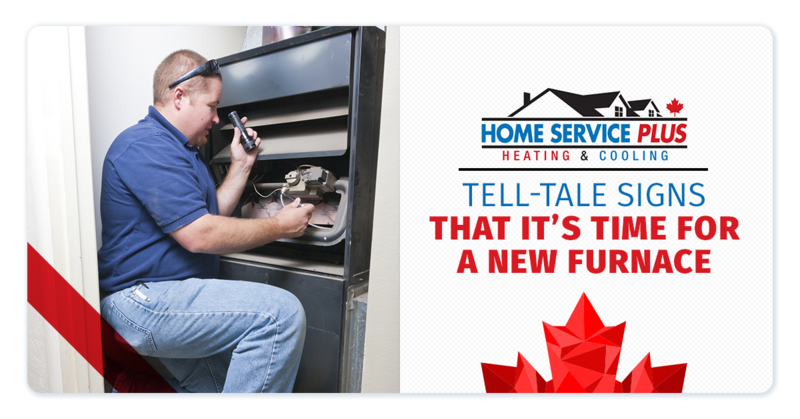 Check out these tell-tale signs that it is time for you to purchase a new furnace. On average, depending on the make and model, your furnace will last anywhere from 15 to 20 years. If your furnace is well past this age, you should probably begin shopping for a new one. As your furnace gets older, it loses its efficiency and more issues arise. This can cause you to spend far more on your energy bill than necessary. Ultimately, if you wait too long, your aged furnace will break down during the next major cold snap. The benefit of upgrading to a newer furnace is that you will experience far greater energy efficiency. New furnaces are created to utilize energy sparingly while providing better heating than older models ever could. If you realize that your furnace is well past its prime, talk to us about replacing it before you get left in the cold. While we love helping our customers out, we don’t want to become a permanent fixture in your home. 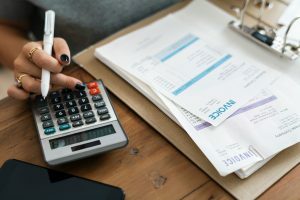 If you find that every winter you are shelling out copious amounts of money on furnace repairs, it might be time to consider replacing the system. Whether it is due to age, a poorly made product, or shoddy installation, constant breakdowns could signal that it is time for a furnace replacement. Our HVAC technicians will be happy to diagnose your furnace and help you decide whether you should keep investing in repairs or if you’d be better off replacing the system. Our goal is to help you save money while keeping warm. As we mentioned above, one of the greatest benefits of upgrading to a new furnace is that modern systems are designed to be far more energy efficient. Whether you are simply hoping to save on your winter utility bills or you are concerned about your impact on the environment, a new furnace is an excellent way to cut down on energy usage. If you decide to upgrade your furnace for efficiency reasons, be sure to ask your HVAC tech about the most efficient models on the market. You can pair your new furnace with a smart thermostat for the most savings. These thermostats will help regulate your heating to ensure that you aren’t wasting money when no one is in the house or due to massive fluctuations in the temperature. Perhaps your family is growing or maybe you are simply getting around to those long dreamed of house plans. Whatever the case, if you add on to your home, your current furnace might not be the right fit for the size of the space anymore. When a furnace isn’t built for the amount of home you are heating, you will wind up wasting energy. Not only that, but a furnace that is too small will need to overwork to compensate. This can hike up your energy costs and lead to parts breaking down earlier than they should. Any time you add on to your home, it is wise to speak to your HVAC tech about your heating and cooling system. They can help you determine whether or not what you have will do or if you should invest in a newer, bigger system. Need help deciding whether or not it is time to invest in a new furnace? Contact the team who specializes in furnace services in Winnipeg. We look forward to helping you keep your home warm and cozy all winter long.